Our Creole mansion and gallery was originally built as a private family home in 1849. Now, over a hundred and fifty years later, we are dedicated to providing the best boutique hotel experience in New Orleans, by giving our guests a place to truly feel at home during their stay. 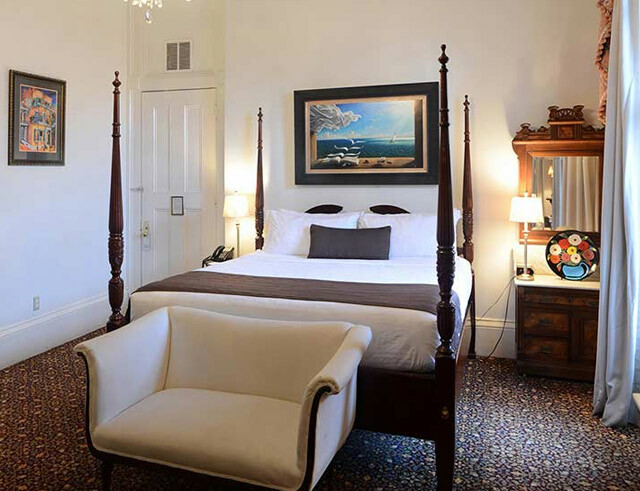 Lafitte's Guest House is the perfect escape for family gatherings, conventioneers, honeymooners, bachelorettes, wedding parties, and more. Not just your typical hotel, we have a commitment to guest satisfaction (and a penchant for throwing amazing parties). Whether you're in the French Quarter for just one night of solo travel or you've planned an extended stay with friends and family, our staff is thrilled to serve every guest, and ready to offer tailored recommendations to help you make the most of your vacation. With 14 expertly-appointed guest rooms, balconies overlooking Bourbon Street, and a gorgeous and serene courtyard, our mansion is the perfect place for friends to gather, travelers to rest, and adventurers to explore, any time of year and any day of the week. Explore New Orleans through our balconies and courtyards. Let us treat you like family. Your French Quarter home awaits!